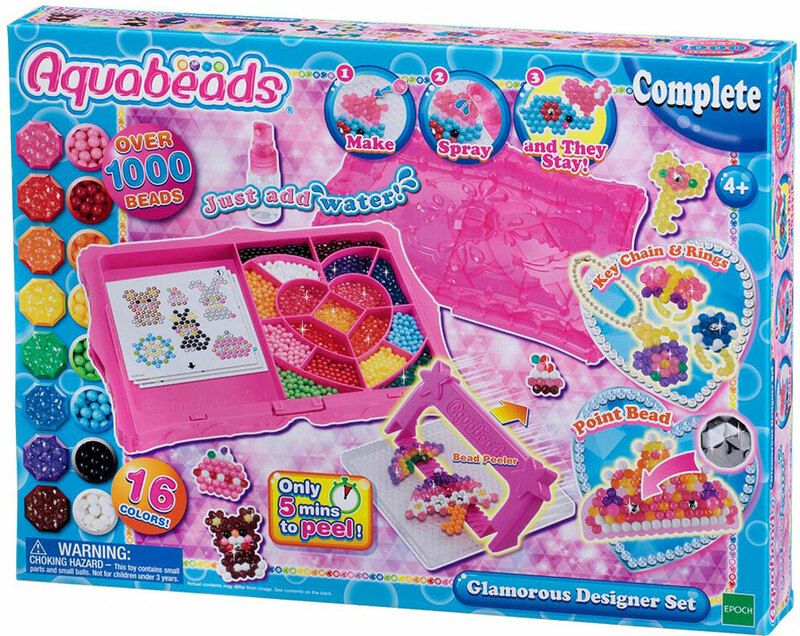 With over 1000 jewel beads, solid beads and new silver beads, creating accessories is more fun than ever! This set includes pieces to not only make flat designs, but also a key chain, 3D rings, and even a wearable tiara! 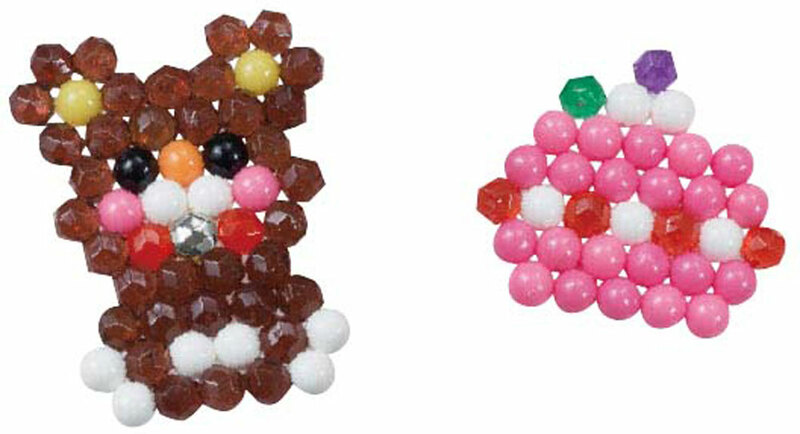 Everything you need to start creating is included, and templates show you how to make the 18 Aquabeads Glamorous designs. Just select a design, place the template in the back of the layout tray, and start creating. You can even create your own designs. The bead case has a beautifully designed lid to look like a glamorous jewelry box, and it can be connected to the Beginner's Studio and Deluxe Studio to create a multi-tiered case. When done designing, just spray your creations with water. No heat is required. 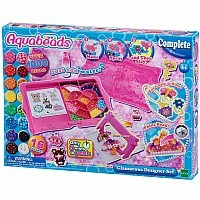 Since 2004, children throughout the world have created millions of Aquabeads designs. 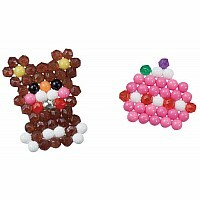 Aquabeads are made of the highest quality materials and are kid-friendly. Measures approximately: 15.00 x 2.20 x 11.00 inches..